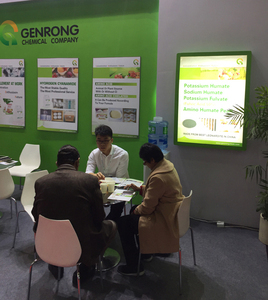 HANGZHOU GENRONG CHEMICAL CO., LTD. since its establishment, continuously follows the principle of “concentration, Enthusiasm, future”. “Concentration” is the business concepts, which is the firm faith on the quality, the persistent pursuit of technology innovation, and the high focus on the reputation. “Enthusiasm” is the attitude, to put customer’s profit in the first place, to stand in customer’s situation and to give as perfect service as possible. “Future” is the ideal, to bring product of “green, stable, efficient” to the world, to devote itself to be superior enterprise of plant growth solution. Our major products include plant growth regulator, agricultural spray adjuvant, bio-fertilizer, and other environmental chemical fertilizers. Every batch passes through strict quality control and inspection, assuring it reliable and stable. Our flagship product, hydrogen cyanamide 50%, with its excellent quality, stable content and super-low concentration of dicyandiamide, has been exported to abroad for years. Humic-series fertilizers, with its high active ingredient, consistent quality and high water-solubility, enjoy good reputation among domestic and abroad clients. Besides, fertilizers like NPK, MAP have been sold in huge quantity because of its high quality while low price. Our new product polyether modified silicone fluid has been accepted and used by more and more customers. The company applies human-based management system, everyone acts as the host of the company, what they do and what they say all represent the company. All the staff keeps it in mind of its principle: concentration, enthusiasm and future, maintains the status of the company, promotes comprehensive qualities, and cultivate the professional dedication: love their jobs, love their company, work selflessly and go all out efforts to upward!